The Wrap: What can Australian rugby learn from Grant Fox? Three weeks ago in Yokohama, Canterbury fly-half Brett Cameron became All Black number 1,181. 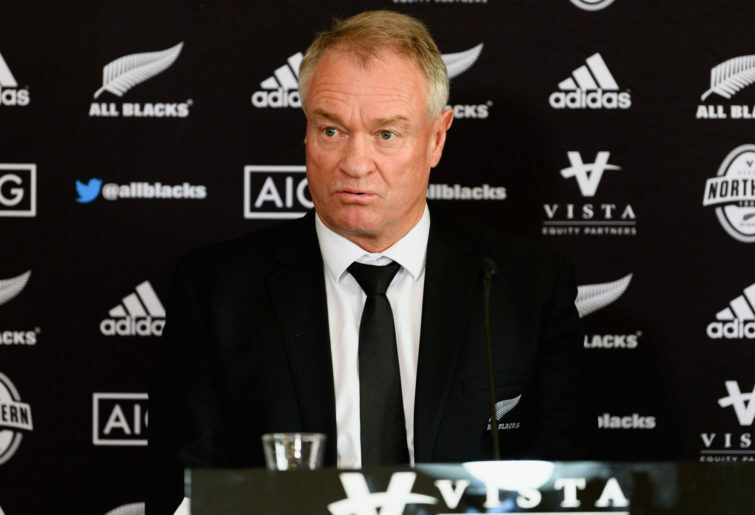 Despite numbers burgeoning in recent years, due to the vastly increased number of Test matches played, the All Blacks remain an exclusive club, membership granted only to the elite of the elite. Within that brethren, the number of truly great All Blacks, or men who have left a lasting legacy, is far fewer. One of those is Grant Fox, a key member of the 1987 World Cup-winning side, who, with the game in the final throes of amateurism, brought a professional approach to general and goal kicking to New Zealand rugby, that became the template for players like Andrew Mehrtens and Dan Carter and others to follow. Fox remains a figure of acute interest to fans of New Zealand rugby – easily recognised and stopped numerous times on the fairways of Melbourne’s Metropolitan Golf Club during last weeks’ World Cup of Golf, for an autograph or a slap on the back. But it is his role today, as an independent selector for the All Blacks, and his deep, clear-minded thinking about the game, which is particularly relevant for Australian rugby. December 10th looms as a key date for Wallabies coach Michael Cheika. If a despairing win-loss ratio and the weight of public opinion counts for anything, and a suitable alternative can be found, the board of Rugby Australia may agree to terminate his contract almost a year ahead of schedule. 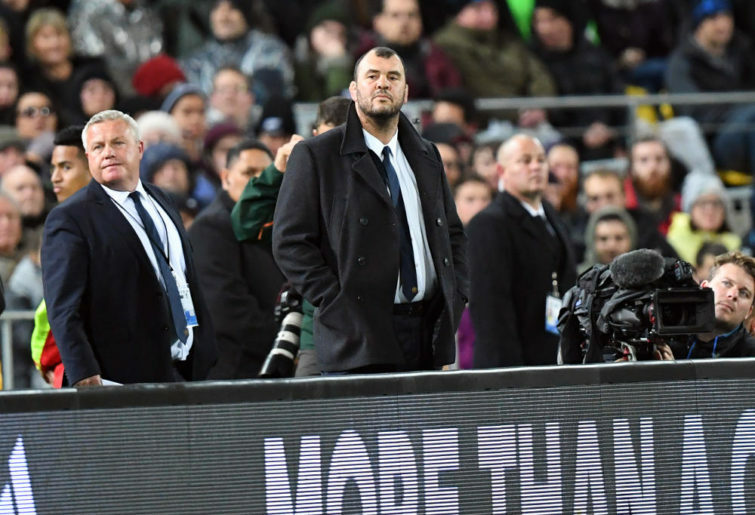 As an alternative, they may allow Cheika to continue on in the job, but insist that he work with an independent selector – in an effort to bring more stability and continuity to what has been a regularly confounding aspect of his tenure. Contrast Cheika being dragged kicking and screaming to that table with the attitude of Steve Hansen, who, in putting his name forward for the All Blacks coaching role in 2011, invited Fox to become part of his team. “He realised that sometimes the coach gets too close to players and sometimes gets emotionally tied”, explained Fox. Keen to press Fox further on the subject of ‘rugby intelligence’ I pointed to the legions of analysts, strength and conditioning trainers and nutritionists attached to professional teams, providing measurable improvements in those areas, but queried to what extent it was possible to make players smarter? Another significant change for players today is the sheer amount of rugby played. Is it too much? “In terms of looking after the welfare of athletes, then yes”, he says. Another factor is the size of modern squads, and being able to utilise this judiciously, not only with respect to player welfare, but player development. “Obviously the lure of the black jersey is strong, but we need to keep being creative about how we generate sufficient revenue in the game”, he continues. Our conversation ends on the topic of rugby in general. Is the game itself, the way it is played, in good shape? “The only bugbear I have is the time it takes to set scrums. Obviously we have to remain aware of safety concerns, but we should be able to set scrums faster than we do. We’ve done it with goal-kicking, you’ve now got a limit of a minute”. Fox’s comment tails off and we both laugh as we realise how he would have been in trouble. I cast a wry reference to Andrew Forrest’s Global Rapid Rugby, with its ten mooted law changes, aimed at ‘speeding the game up’. “Really, it comes back to balance, and understanding what it is we’re actually trying to achieve”, Fox cautions. And with that, the New Zealand World Cup golf team of son, Ryan Fox and Mark Brown, is called to the first tee, and rugby talk is relegated to the background, in favour of treading Metropolitan’s fairways for a fourth day in succession. The pride and pleasure Fox obtains from following Ryan’s professional career is self-evident. But none of that masks his love of New Zealand rugby, and his determination to play an important role in World Cup success for the All Blacks next year. Looking at the current Wallabies environment, it’s not difficult to imagine how they might benefit from having similar, cool-headed experience within their inner sanctum.